Eight of Japan’s biggest real estate companies have joined forces to run a website called Major 7 (why 7 and not 8 I have no idea), which features articles about condominiums. Last summer the group conducted its annual survey to find which urban location is the one where people would most like to buy a condo if they could. For the sixth year in a row the number one answer in the Kansai region was Ashiya, which isn’t surprising. Ashiya, in Hyogo prefecture, has always had a high class reputation owing to the simple fact that rich people tend to live there and most of the city is located on a hill. The most popular place in the Tokyo Metro area was Kichijoji, for the third year in a row. (For the record, the next nine preferences in descending order are Jiyugaoka, Yokohama, Futago Tamagawa, Ebisu, Hiroo, Kamakura, Meguro, Kagurazaka and Naka Meguro) The website doesn’t explain why Kichijoji is popular, but it isn’t difficult to guess. Tokyoites see it as youth haven filled with trendy retailers and which is close to a famous park. The preference is aspirational rather than practical, however, especially if you look at what’s available. Most available units for sale near Kichijoji station are small, cramped and expensive. You have to go at least 15 minutes from the station before you find something that might be habitable for a family: ¥31 million for a 60 square meter 2LDK, which is also a bit old and probably run down. If you want something new, you’ll pay through the teeth. A new 70 square meter apartment will put you back a whopping ¥75 million. The prices are, on average, much higher than comparable units in areas closer to the center of Tokyo. It’s completely a name thing, and realtors know that. 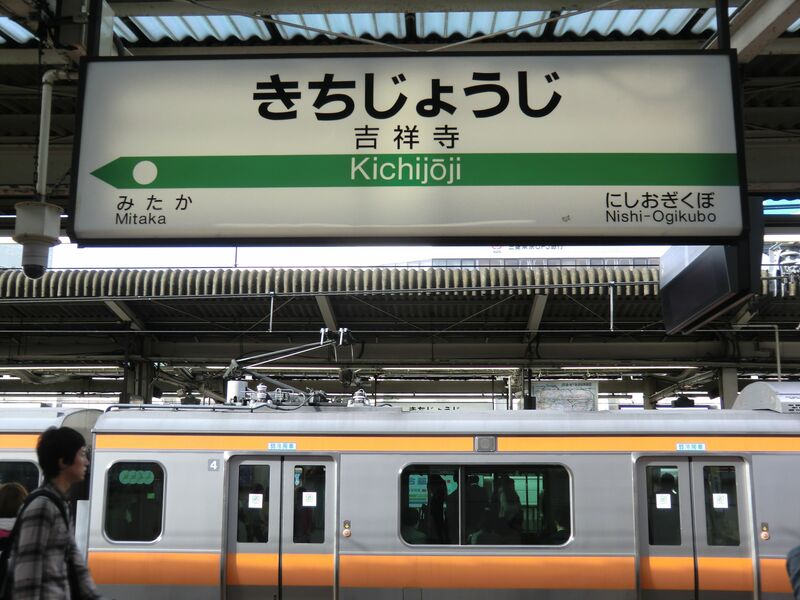 Kichijoji is in Musashino City, and when advertising condos or even rental apartments, many real estate agents list the nearest station to a Musashino property as being Kichijoji, even if it’s much closer to, say, Mitaka. Of course, if you live in Mitaka you can always get off at Kichijoji station and take a bus home. That way you can tell your friends you live in Kichijoji, but sooner or later they’re going to catch on.